Today we are taking a look at the Sennheiser PC 360 Gaming headset. 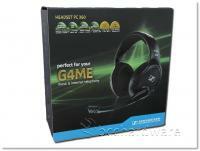 This headset is geared for gamers that demand great audio quality. 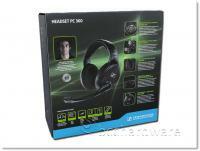 It's not the cheapest headset around, and the specifications look pretty impressive. With all of that being said however, we will be taking a look at it and finding out if lives up to the hype and performs as we hope. 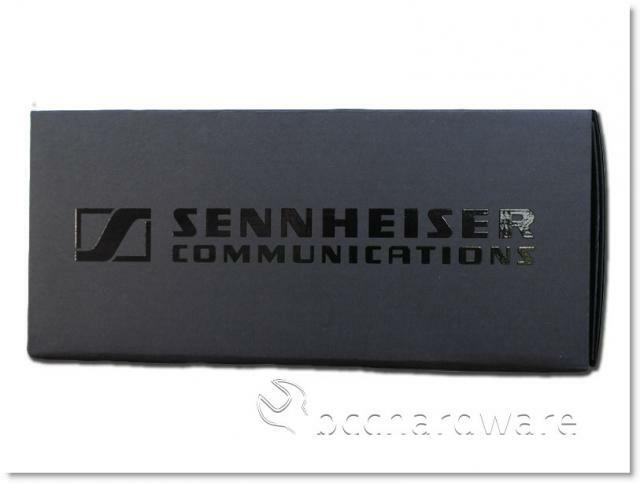 Sennheiser makes some pretty stellar products and all of them demand a premium price tag. Stay tuned as we find out if the PC 360 can live up to our expectations. The PC 360 is an open design stereo headset that has a couple of nice features - including extreme comfort and a great microphone. One of the nice features of the microphone is that it will mute if you position it in the "up" position. The volume control for the audio is also very intuitive and really completes the whole package. Sennheiser has been around for over 65 years and they know audio. They have pioneered some great audio technology over the years and have positioned themselves for a long and healthy future. Below is some information from their site that better explains a few aspects of their vision. We apply the highest ethical standards, exhibit honesty and fairness in everything we do, and honor our commitments. We take personal responsibility for our actions and treat everyone fairly and with trust and respect. We treat our team members, clients, partners, and suppliers with respect and sensitivity and recognize the importance of diversity. We respect all individuals and value their contributions. We believe in developing a sense of entrepreneurship in each and every employee with regard to their work, projects, and roles. We all strive to be proactive and take an active interest in Sennheiser’s business. We continuously strive to improve efficiency, quality, and cost control. We encourage innovation, new ideas, and opportunities for improvement. We carefully consider all perspectives and consequences in our decisions and acknowledge our responsibility for the things we do. We work towards solutions that are optimal for the company, considering all stakeholders’ input. We strive for excellence in everything we do. This includes, but is not limited to, serving our clients in the best possible way, managing our internal processes and people as well as focusing on financial performance. We do business with our full energy and commitment for the industry we work in. We take pride in our job and draw satisfaction from excellence. We support and foster a climate of innovation in the things we do. Innovation is a key element of our success, be it in our products and services as well as in the way we do business. We've reviewed quite a few gaming headsets over the years - most recently the Roccat Kave 5.1 headset. The Psyko Audio Carbon headset is also a good gaming headset, but both of these have a positional advantage as they are 5.1 headsets. The Thermaltake eSports Shock headset is probably about the most similar headset that we can compare to, but the price difference puts them in a separate class. This is a basic (although high quality) stereo headset from a company that wants to turn the heads and ears of serious gamers. For the price of $200, it will have to deliver a pretty solid experience to end up on a gamers short list. The PC 360 is Sennheiser's flagship headset that aims to trump everything else they make. If you want to save a bit of money, you could choose one of their mid-range products - but they are trying to impress with the PC 360. Let's take a look and see if they can impress us from the get-go.